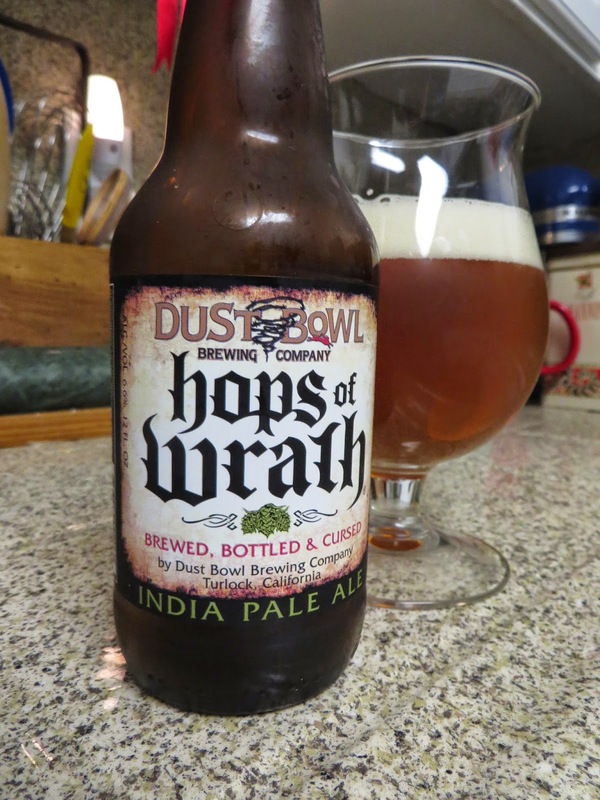 The Beer is of the Month is Hops of Wrath from Dust Bowl Brewing. I’ve enjoyed a few over the past three years while visiting my kids since the time my ex-wife took the kids to Modesto. When that happened, I wanted to hate Modesto. Before then, I lived on the San Francisco Peninsula and the kids were only a short five minute drive away. When I started seeking ways to spend additional time with my kids, my ex-wife resisted, so I started pursuing legal channels. Shortly thereafter, my ex-wife announced her husband just got a job near Modesto and she was taking the kids with her. That seemed too much of a coincidence to me. It is not wise to discuss these things in great detail on blogs but let’s just say things got pretty messy and some lawyers made good money over the deal. In the end, an independent arbitrator allowed my ex-wife to take the kids to Modesto, but also allowed me to spend more time with them. Part of that additional time was spending Wednesday evening in Modesto with my kids. Having never been there before, I figured Modesto was some dusty Central Valley town out in the middle of nowhere. And indeed, I discovered Modesto to be this dusty Central Valley town out in the middle of nowhere. But somehow, the place grew on me. Modesto has this unassuming humbleness and unstated pride in its normalcy, an exotic ordinariness few places posses. Everyone seems to like being in Modesto a lot more than they have any reason to. 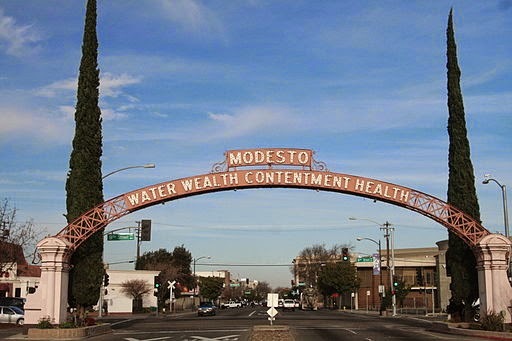 Or maybe Modesto simply represents an important time and place where festering family discord finally healed and the kids and I had some great times. Helping my kids with their homework in Modesto’s library, going on a stroll with them through Scenic Oaks Park, and taking the kids bowling at McHenry Bowl are some of the many great memories I’ll take away from Modesto. Sometimes when we’d go out to dinner, I’d enjoy a Pint of Hops of Wrath. A couple times we even made it to Dust Bowl Brewing’s brew pub just down the road in Turlock. When people talk about the great California IPA’s, Hops of Wrath usually isn’t in the discussion. It ought to be, standing up to the best California IPA’s from far sexier places like San Francisco, Santa Rosa or San Diego. Its hop flavors are sharp, clear, and very directed with lots of pine and grapefruit peel character. It’s a pretty dry IPA with a little caramel malt to round out the flavors, resulting in a rather unbalanced IPA, which in this case is a very good thing. More than a beer, Hops of Wrath represents the fact that good things happen in unlikely places. My ex-wife and I get along a lot better these days and she just moved back into the Bay Area to San Rafael. My kids are closer now so I’m pretty happy about this, but it means I won’t be going to Modesto anymore. I’m going to miss that place. PS – I won’t be going to Modesto but maybe I won’t have to get Hops of Wrath. Dust Bowl Brewing recently announced a major brewery expansion. Here’s hoping Hops of Wrath and some of the other excellent Dust Bowl brews start showing up in the Bay Area.